Faruqi & Faruqi Law Blog: Faruqi & Faruqi Alert: KaloBios Pharmaceuticals, Inc.
Faruqi & Faruqi Alert: KaloBios Pharmaceuticals, Inc.
Faruqi & Faruqi, LLP, a leading national securities law firm, reminds investors in KaloBios Pharmaceuticals, Inc. (“KaloBios” or the “Company”) (OTC:KBIOQ) of the February 16, 2016 deadline to seek the role of lead plaintiff in a federal securities class action lawsuit filed against the Company and certain officers. 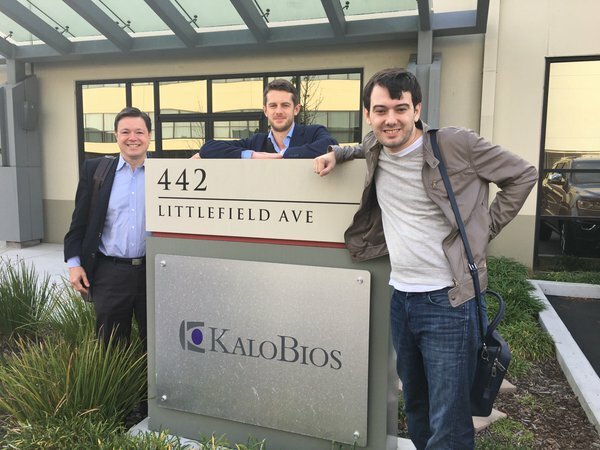 The lawsuit has been filed in the U.S. District Court for the Northern District of California on behalf of all those who purchased KaloBios securities between November 19, 2015 and December 17, 2015 (the “Class Period”). The case, Sciabacucchi v. KaloBios Pharmaceuticals, Inc. et al, No. 3:15-cv-05992 was filed on December 23, 2015, and has been assigned to Judge Charles R Breyer. The lawsuit focuses on whether the Company and its executives violated federal securities laws by making false and/or misleading statements, as well as failed to disclose material adverse facts about the Company’s business, operations, and prospects. Specifically, the Company made false and/or misleading statements and/or failed to disclose that Defendant Martin Shkreli (“Shkreli”) was currently the subject of a federal criminal investigation; the Company’s CEO was engaged in a scheme involving the illegal use of stock from Retrophin, Inc. to pay off debts associated with other business ventures; the discovery or revelation of the scheme would likely undermine the Company’s operations and prospects; and as a result of the foregoing, Defendants’ statements about KaloBios’ business, operations, and prospects were materially false and/or misleading at all relevant times. During pre-market on December 17, 2015, Defendant Shkreli was arrested by federal authorities after a grand jury indicted Shkreli on seven counts of fraud. According to federal prosecutors, Defendant Shkreli allegedly ran his companies like a Ponzi scheme, where he used each subsequent company to pay off defrauded investors in the prior company. On this news, shares of the Company declined $12.56 per share, approximately 53%, during pre-market trading on December 17, 2015. Trading of the Company’s shares was halted on December 17, 2015 before the open of the market. KaloBios resumed trading on January 13, 2016. On February 4, 2016, KaloBios stock closed at $2.45 per share. If you invested in KaloBios securities between November 19, 2015 and December 17, 2015 and would like to discuss your legal rights, please contact us by calling Richard Gonnello toll free at 877-247-4292 or at 212-983-9330 or by sending an e-mail to rgonnello@faruqilaw.com. Faruqi & Faruqi, LLP also encourages anyone with information regarding KaloBios’ conduct to contact the firm, including whistleblowers, former employees, shareholders and others.